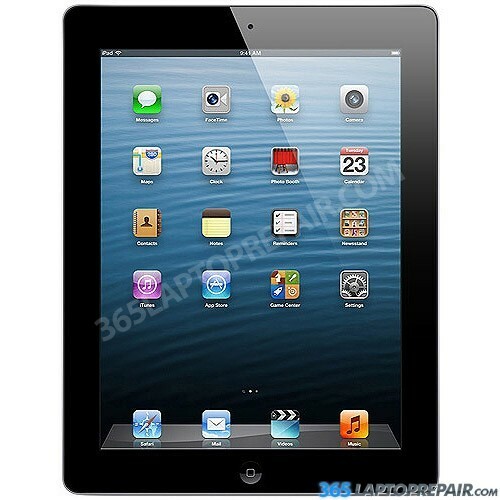 iPad Screen Repair Los Angeles and Nationwide! Does your iPad 2/3/4 have a cracked screen? Do you need an ipad replacement screen repair? You can send us your iPad and one of our knowledgeable techs can repair it just for you! We have the replacement parts in our inventory and therefore our turn around is 1 business day considering that we have everything required to accomplish a prompt as well as efficient diagnostic and repair. 365 Laptop Repair, based in Los Angeles, California specializes in screen replacements and has competed thousands of repairs! 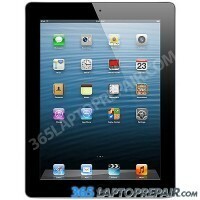 Come to 365 for iPad screen repair Los Angeles! This service includes a No Dead Pixel Guarantee along with 3 month warranty on parts and service . We utilize authentic new LCDs, not aftermarket or cloned screens. Most of the time only the front glass (called the digitizer) of the iPad is damaged. But occasionally the LCD screen underneath can be damaged and needs to be replaced. If you are unsure which repair you need you can send it in to us for a diagnostic and we will verify the proper repair for your ipad and then let you know so you can choose how to proceeded. Are you ready to start your repair and have your laptop problem fixed fast? Simply click the “Add to cart” option below to begin the checkout process. We accept credit cards via Authorize.net in addition to PayPal. We have several shipping methods to and from our shop. You can pack your computer and post it to us on your own, or otherwise we can send you a pre-paid shipping label alongside a secure ship box to mail your laptop quickly, conveniently and safely! Watch our video tutorials that show you the checkout process if you need help! Our Authorize.net checkout video. Our PayPal checkout video. Feel free to get hold of us with any specific questions in regards to this or any one of our repairs by our Contact Us form. Do you happen to be confused about what's broken with your iPad? You can mail it in to us and we will execute a complete diagnostic. We will then send you a repair quote for approval. This service costs nothing if you decide to have the repair done. Is your broken screen breaking your heart? These repairs will have it back up and running in no time. In cases where the glass touch screen (digitizer) covering the LCD screen is cracked but the LCD display itself is intact choose "Cracked Glass Repair"
In the event the glass touch screen is unbroken but there is a problem with your LCD display (like lines across the screen) select "LCD Screen Replacement"
In the event the glass is fractured and the LCD underneath is broken as well choose "Full LCD Assembly Replacement"
Should you be unsure please pick Free Diagnostic above and we will perform a complete diagnostic and send you a price for repair.